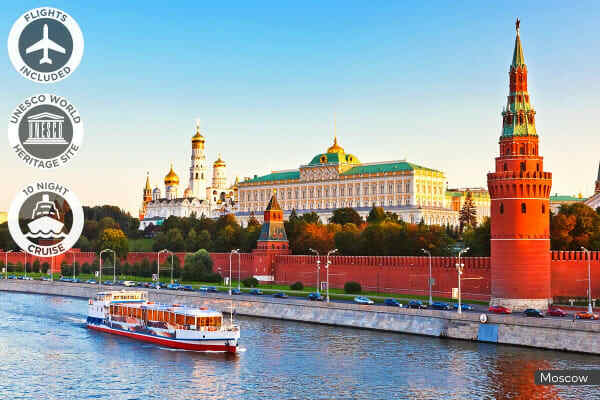 Walk in the footsteps of the imperial Tsars of old as you set sail on a luxury voyage down Europe’s longest river, enjoying expert tours of Russia’s most fascinating destinations along the way. 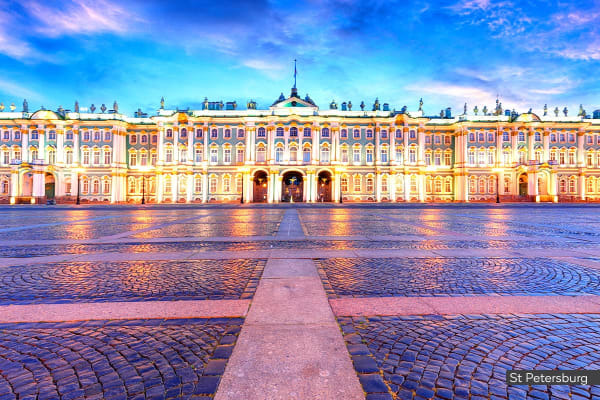 Explore St. Petersburg, The Kremlin, Moscow City & More! You’ll be sailing down the Volga River on the fabulous MS Zosima Shashkov. The ship boasts two bars, a lounge, sauna and a souvenir shop, as well as a dining room serving authentic continental and Russian cuisine. You’ll be staying in a River View Cabin, featuring air conditioning, private bathroom, refrigerator and comfortable beds. A large window lets you gaze out over the river from the comfort of your own room. 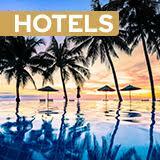 Fancy a little more luxury? Upgrade to a One Bedroom Suite and enjoy a king size bed, separate lounge, kitchenette area and wide windows. See the Fine Print for details. See Russia from a truly unique perspective on a scenic river cruise. The Volga is the longest river in Europe, and the very heart and soul of the country – flowing through 11 of the 20 largest cities in Russia. Why not relax in the sauna after a delicious buffet breakfast on board? Or while away the evenings with great food, wine and company in the Piano Bar? The MS Zosima Shashkov has dining and entertainment options galore to make your trip as enjoyable as possible. 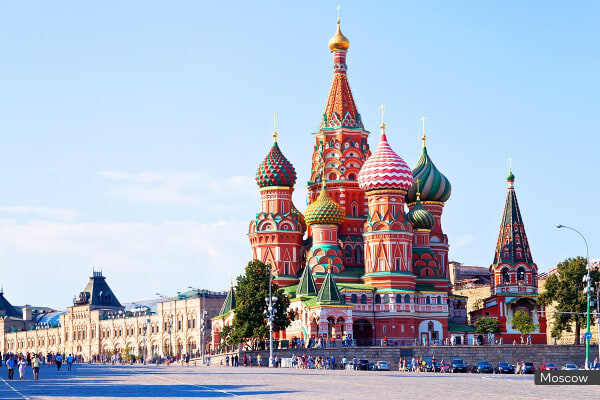 See Moscow’s infamous Kremlin, Old Arbat Street and a plethora of other iconic sites, with free time to explore the Red Square and iconic domes of *St. Basil’s Cathedral on your own. Capture the real spirit of Russia in the lesser known cities of Kizhi, Uglich and Yaroslavl, where just a few of the highlights include medieval monasteries, striking cathedrals and local markets. Take a few days to enjoy St. Petersburg, built with grand palaces and opulent cathedrals sitting on a network of Venice-like canals. Feel you heart skip a beat as you admire the masterpieces of Michelangelo, Van Gogh, Picasso, Monet and Rembrandt at the world-renowned Hermitage Museum. Today your adventure begins! Board your flight bound for Russia! Touch down in Moscow, Russia’s fascinating and energetic capital. From the airport, make your own way to the hotel. Once you’ve settled in, you’ll have the day to explore on your own before a welcome dinner this evening. Trains run every 90 seconds during rush hour in Moscow, so the best way to get around is definitely the metro system! Savour Moscow’s incredible landmarks, starting with the fortified Kremlin today, followed by the infamous Old Arbat street to do some souvenir shopping. The rest of the evening is yours to perhaps visit the Red Square, marvel at the golden dome of the Cathedral of Christ the Savior, the iconic turrets of St Basil’s Cathedral – the former headquarters of the KGB – and much more. Spend the morning exploring Moscow’s hidden wonders before reconvening at the hotel to embark on your MS Zosima Shashkov, jetting off on the legendary Volga River. Enjoy getting settled in before a welcome dinner tonight on board. You’ll feel like you’ve stepped back in time today as you disembark in Sergiev Posad, a charming town dating back to the 14th century, home to a magnificent monastery with brilliant blue-and-gold cupolas set against snow-white walls. Enjoy your day here before returning to the ship this evening. Soak up all that Moscow has to offer today, perhaps learning about the Communist history at Lenin’s Mausoleum, getting a closer look at the golden domes peeking over rooftops as you wander through labyrinthine alleyways or tasting your way through this incredible city. Your ship disembarks at 4:30pm this afternoon. On arrival in historic Uglich, you’ll embark on walking tour of the Kremlin, the Church of St. Dmitry-on-Blood, built in honor of Prince Dmitry, and the Transfiguration Cathedral marvelously decorated with painted icons and frescoes. The ship will set sail for Moscow at 4:30pm. Arrive this afternoon in the quaint Golden Ring city of Yaroslavl, learning about the city aboard a bus tour before meandering through a local market for handicrafts and treasures. Then, view the exquisite Church of Elijah the Prophet with its detailed frescoes and icons, the Church of St. Nicholas the Wonderworker and take part in an interactive tour of the Yaroslavl Museum of Russian Art, housed in the 18th century Governor’s mansion. Return to the ship for 12pm. One of the most tranquil and holy places in Russia, Goritsky is renowned for its monasteries, especially the Monastery of St Cyril of the White Lake, a 14th century masterpiece that has housed monks and nobles throughout the centuries. Marvel at its fortified walls, 730 metres long and six metres thick, before returning to the ship for a festive song and dance class as you sail for Kizhi. 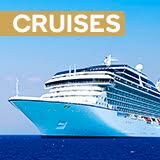 Relax at your leisure this morning, perhaps learning Russian, folding napkins classes, seeing what goes on behind the scenes of a cruise ship or hunting for treasure. On arrival in Kizhi, wander through the UNESCO World Heritage-listed open-air wooden Architecture Museum, filled with houses, windmills and churches. Stand in awe of the Church of Transfiguration, visit the Intercession Cathedral and explore the inside of an Ibiza (traditional wooden house). Return to the ship before 2pm. Sail to Mandrogi today, a reconstructed 18th century traditional Russian village. Roam at your leisure browsing shops filled with crafts, paintings or clothes or perhaps visit the Museum of Russian Vodka which is home to over 2500 varieties! Cap off the afternoon with a traditional lunch, before dining with the captain this evening. Welcome to imperial Russia’s capital of St. Petersburg! On arrival, visit Peter and Paul Fortress, and the world-famous Hermitage Museum, housing a large collection of priceless masterpieces by Michelangelo, Van Gogh, Picasso, Monet and Rembrandt. Stroll down to the Versailles of Russia at the Peterhof Grand Palace today, once home to Peter the Great. After lunch on board the ship, the remainder of the day is yours to do as you please. Rivers and canals experience (AUD $120 per person). Today is yours to discover this historic city. You could explore Nevsky Prospekt, the main avenue of the city, observe the magnificent Church of the Savior on Spilled Blood or treat your palate to Russia’s smorgasboard of treats; beef stroganoff, pierogi and borscht! After breakfast, bid farewell to the captain and crew as you make your own way to the airport for your flight home to Australia.